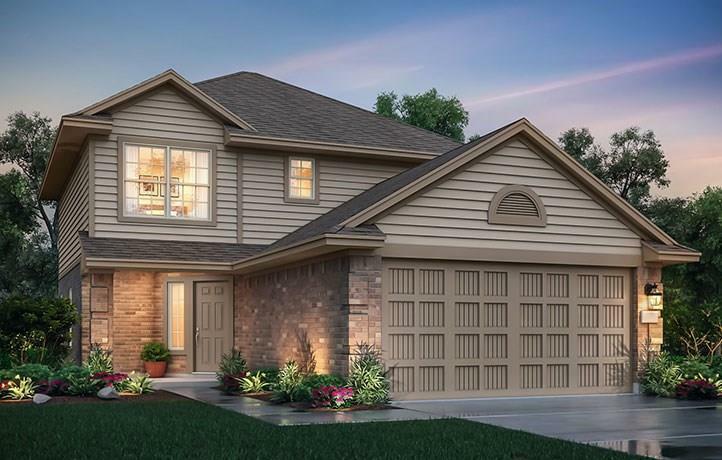 The handsome two-story La Mirada floor plan by nuHome features an inviting porch, lovely entry foyer, open family room, kitchen with pantry and adjoining dining room. A utility room is located just off the kitchen with garage access, and a powder bathroom is on the first floor. 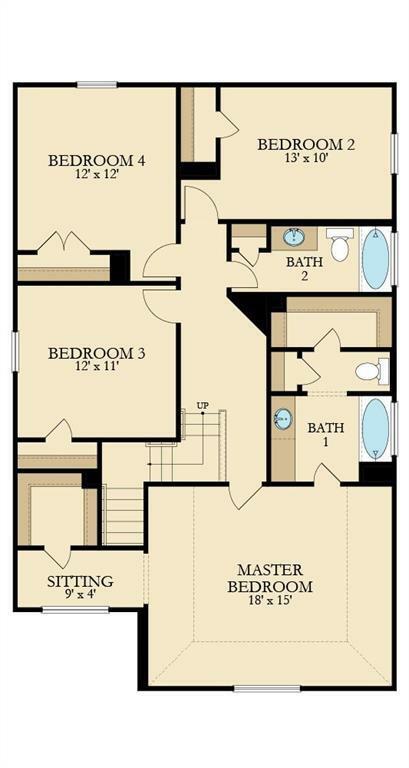 The second floor features three secondary bedrooms, a full bathroom, and the master bedroom with an en suite bathroom, a private toilet enclosure, and a shower and tub. The La Mirada floor plan also includes a lovely sitting room.